GENERAL SANTOS CITY (MindaNews/28 March) – The communist-led New People’s Army (NPA) in Mindanao has grown in numbers over the last two years, according to rebel spokesman Jorge Madlos, a.k.a. Ka Oris. “We have formed additional platoons and increased our armed strength by almost 20 percent,” Madlos said in a statement sent to reporters on the eve of the 43rd founding anniversary of the armed wing of the Communist Party of the Philippines. He claimed the guerilla fronts of the NPA have increased to 42, up from 32 fronts three years ago. “We have maintained 42 guerrilla fronts island-wide and increased the number of company-sized fronts,” Madlos said. 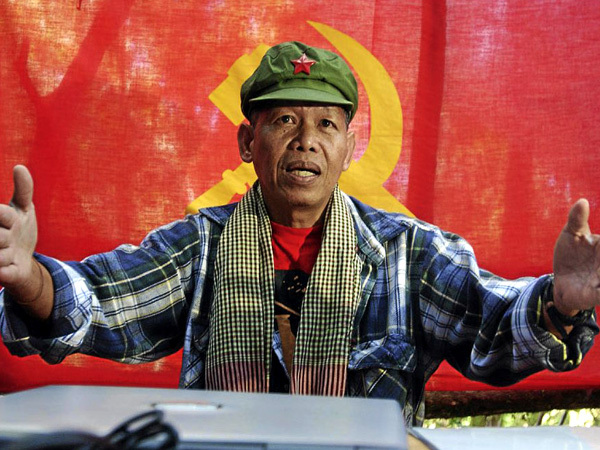 The communist rebels claim they have five regional party committees in mainland Mindanao. Each regional party committee is reportedly maintaining at least a company-sized main regional guerrilla unit (MRGU) apart from several platoons of front guerrilla units (FGUs) distributed throughout the island. The CPP-NPA rebellion is Asia’s longest running insurgency movement. The NPA was founded on March 29, 1969 in Sta. Rita, Pampanga from remnants of the Hukbong Mapagpalaya ng Bayan (HMB), the armed wing of the old Partido Komunista ng Pilipinas (PKP). From an undersized platoon of poorly equipped fighters with less than 25 rifles and handguns, the NPA has expanded throughout the archipelago and became a major threat to national security during the Marcos dictatorship. The son of a rice farmer, Ka Roger, native of Ibaan town in Batangas, was spokesperson of the Communist Party of the Philippines until his death from a heart attack last year, at the age of 63. Our CC felt deep sorrow when we heard the news of passing away of Gregorio “Ka Roger” Rosal, spokesperson and chief of the Information Bureau of your Party, the CPP. On behalf of the Indian revolutionary movement and entire revolutionary masses of India, we send our heartfelt condolences to the CPP, NPA and NDF, all near and dears of the departed veteran of Filipino revolution. We share your grief. The demise of Ka Roger is a great loss to entire Communist revolutionaries of the world. 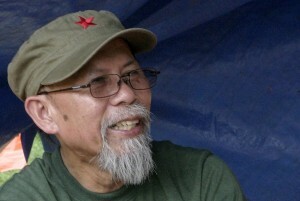 Veteran Communist leader Comrade Roger greatly contributed to the Filipino revolution ever since he jumped into the revolutionary movement in 1972. Born into a poor peasant family in the countryside, he raised to the level of the spokesperson of the Party. This would inspire every communist across the world. From ‘Great Escape’, he played crucial role in expanding and consolidating the Filipino revolution as well as armed struggle and mass struggles. He strode unwaveringly against all odds faced in his personal and political life. Understanding the significance of the propaganda work in revolution he accrued immense experience in propaganda front striving hard. The way your Party waged a relentless revolutionary propaganda war in defeating the psychological war being carried out by the imperialists and their lackey Benigno Aquino III is simply great. It’s been an immense inspiration to our Party. 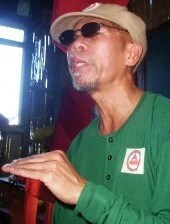 Despite of severe ill health, as a veteran communist leader Ka Roger had been in touch with propaganda bureau of the CPP furnishing it with his invaluable suggestions till the end and thus he handed over his legacy to his comrades so that the tasks of the revolution could be carried on ceaselessly. His demise is a huge loss to not only Filipino Revolution, but to the world socialist revolution as well. He displayed enormous competence, patience, straightforwardness, intelligence, patriotism and love for his nation throughout his career as a revolutionary. Thus he presented himself before the world people as a model of how communists would think about the world. The CC of CPI (Maoist) humbly bows its head in memory of this Great Leader of the World Proletariat Ka Roger and vows to carry the World Proletarian Socialist Revolution forward.